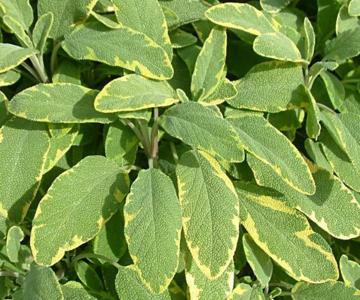 Variegated form of the culinary sage with irregularly yellow margined leaves. Low growing. Good ground cover. Edible leaves.